that offer an experience no Foodie will ever forget. From gourmet dining tours to celebrity chef cooking classes, New York will not only whet your appetite, but satisfy your hunger for culinary excellence. 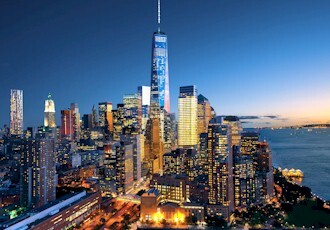 Fill in the form below and we'll send you an email with all our current deals for New York. Customized Culinary Magic in the City that Never Sleeps! Let us come to your home and turn your kitchen into a mini cooking school! Our classes last approximately 4 hours. They will include hors d’oeuvres, a brief discussion of the menu, a fully equipped workstation for each student, and an evening of hands-on cooking with demonstrations along the way. A la Carte Culinary Services is a full-service culinary center designed to teach cooking to the public as well as perform many other food related functions for the trade. Come join my delightful and rewarding classes in the fundamentals of cake decorating, as well as, my inspiring series of gum paste flower workshops. My patient, step-by-step method of teaching makes learning easy. Addie's Everyday Gourmet is a personal chef service offering in-home cooking of delicious, nutritious gourmet meals, fabulous dinner parties and holiday baking. Put a twist on your next dinner party with an in-home cooking demonstration. Using antique pots and pans and other historic cooking utensils, Alice Ross is our guide on a culinary tour through time. These tools and the history they represent are what stir Alice in the classes she teaches in her cooking studio in Smithtown, New York. Join Chef David Bouley and his team in the Test Kitchen as they share their knowledge of techniques, products, and tips for the home cook, and taste each course as it is prepared in front of you! CAMAJE offers hands-on cooking classes in its professional kitchen, taught by chef-owner Abby Hitchcock. The classes are intimate and most have six students. Prices include all materials. From grilled pizza to Southwestern barbeque and Italian Pastries, you will find quite a selection of classes taught by Executive Chef Carol Frazzetta. For over 10 years, Chef Armand has provided cooking classes on Long Island, inspiring some to pursue a career in the culinary industry and helping others to bring their passion in the kitchen to a higher level. Learn to cook in the privacy of your own home. Chef Anne will work with you on a one-on-one basis to teach any level of cooking expertise. We also teach classes for small groups. It’s a fun way to spend an evening. It is our mission to provide fun, creative and challenging culinary programs to children of all ages. Chefs 2 Be cooking classes are more than just a cooking class, your child will also learn basic cooking fundamentals, restaurant etiquette, and nutrition fundamentals all in a fun, creative setting. Cook&Party is a NY based cooking class company specialized in Italian cuisine. We offer in-home, hands on cooking lessons for any kitchens. WE BRING all necessary ingredients and appliances for perfect, culinary parties. We take our guests through the step by step experience of cooking their very own dinner party. Cooking by the Book offers highly customized hands-on team cooking events for corporate teams and their friends, who value participation in social activities to facilitate learning more about one another, and at the same time, are enjoyable, entertaining and provide a sense of accomplishment. Cooking takes you on a journey of the senses. It's the sights, smells and textures that lead to the ultimate destination: luscious tastes. Come with me and share the experience of wonderful food. Looking for something different to do on an evening or weekend morning? The you need to try my personalized, interactive Indian and Asian Cooking lessons. Learn to cook in a practical setting, and transfer your knew skills to your own kitchen. As part of our ongoing cooking class series, Chef Erik Johansen, a graduate of the Culinary Institute of America, will lead the class in a relaxed social environment. No experience is needed, bring only an appetite and comfortable shoes. Chef Bryan’s students love his easygoing teaching style that focuses primarily on techniques and ingredients. During class, you will create new and exciting dishes and develop a better understanding of how to use gourmet products. With over fifty instructors, we can provide culinary experiences in a large variety of cuisines. Our facility is a casual, but elegant art-filled space in the heart of Chelsea with a kitchen designed for hands-on participation. Cupcake Kids offers cooking events just for kids, designed to teach the fundamentals of cooking in a safe, hands-on and creative environment. Chefs-in-training learn to measure, sift, mix, whip, knead, zest, decorate and more - improving their math, science, reading and social skills along the way. We offer cooking classes, birthday parties, field trips and other special occasion events. Come to us or we'll come to your school, home or favorite location. Good for kids ages 2-14. Cooking classes are a fun way to laugh and enjoy while learning in the comfort of your own home. You choose what you would like to learn or have Chef Yolanda create a special menu according to your interests. At Delish we offer the creative opportunity to design your very own culinary experience with our diverse and seasonal selection of both demonstration and hands-on classes. Whether you prefer to cook with friends and family or mix it up at one of our singles parties, you will learn to prepare delicious food with ease. Make a guest list and then work with us to create the perfect menu for your cooking party. We can tailor a menu to your specific needs, or you can choose from our seasonal menus. Cooking classes are the hottest thing. DJ CHEF turns your cooking class into a party, turns up the music, whips up the Margaritas and gives you the whole package. Invite a group of friends to come and share a fun, new twist on entertaining. Grandma's Secrets offers a unique approach, with your convenience in mind. We offer personal, one-on-one classes. All supplies are provided by us, only your presence is required! Whether you are a novice cook or a well-seasoned professional, our mouth-watering creations will leave you wanting more. The best part is we will teach you how to cook them so you can make them all the time! Through in-home cooking classes, students learn how to cook the foods they love to eat in a relaxing environment. Classes are approximately 2 ½ hours and are centered around the preparation of a complete meal. Come share a workstation with new friends at the Italian Culinary Center! Use fresh ingredients and top-of-the-line cooking supplies to prepare lip-smacking Italian dishes under the attentive supervision of the Center's executive chef. Josie's cooking class guarantees a fun night out with your friends, family or co-workers. This inspiring and informative class features swift, savory recipes using the freshest ingredients. In only a few hours, you'll learn everything from the health benefits of organic & natural foods, how to stock your kitchen to cooking techniques and serving ideas. Kitchen Time's Party Place offers classes for kids of all ages. 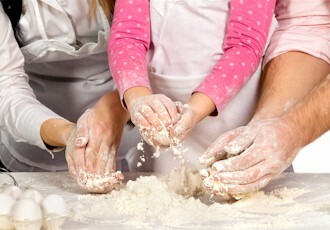 Encourage a passion or spark an interest by exposing your child to a hands-on class in the kitchen. Classes are meant for the enthusiastic cook working in the home kitchen, where the best food has always been prepared. Instruction is in English, but the spirit of engagement and that of the cooking is French, with particular emphasis given to the regional cuisines of Alsace and Provence. Join Chef Rossano Giannini at the Lanterna Tuscan Bistro as he teaches you to prepare a fantastic four-course gourmet meal. Then enjoy the meal and wine tasting right on the spot! Over 25 years of experience (professional cooking, recipe development, catering and teachin) master chef – Lévana Kirschenbaum makes the preparation of nutritious and exotic gourmet cuisine easy. Novice cooks and amateur chefs may access all the savors of global gastronomy, prepared with natural ingredients, (also strictly Kosher), without losing taste. Little Cooks, Ltd. offers after school classes and cooking parties. Our programs have recently been expanded to include "Little Cooks Around the World". The children learn about the culture from which a recipe has come, and then they get a taste, literally, of that country or culture. Let our cooking school bring Italy to you. Enjoy our food, cooking classes, recipes, cookware, and a lot more here at Marcello's Ristorante. Indulge in the most exquisite food and drink with our cooking school in New York. Miette Culinary studio, located in the heart of Greenwich Village in a 19th century townhouse, offers cooking classes for adults and children, as well as private culinary events and corporate teambuilding events. NYC Loft Classes are uniquely designed for both the experienced and the novice cook. Chefs lead you through a Hands-On Lesson before you sit down to enjoy the delicious meal you’ve prepared. Complimentary Wine, Hors D’oeuvres and Music turn your average cooking lesson, into a hip and energetic Cooking Party. The Natural Gourmet Institute for Food & Health offers classes to the general public. The school offers a wide array of approaches to nutrition and affordable, hands-on classes in health-supportive food preparation throughout the year. The meals we create are vegetarian and made from seasonal, organically grown and/or foraged vegetables, fruits, legumes, nuts and seeds, and grains. They are also wheat, dairy, and sugar-free and can be adjusted for specific dietary needs. Cooking parties are the perfect alternative to the ordinary, run-of-the mill dinner or luncheon party. They are Perfect for Birthdays, Wedding and Baby Showers, Corporate Events, or any gathering of friends. Or, book a Pete’s Eats private cooking class so you can master your own kitchen. FFK is a recreational cooking school founded by classically-trained chef and a Food Network Chopped Champion, Rachel Willen. Hands-on and demonstration classes for adults and children take place in Willen's unique culinary studio in a renovated garage. Check website for current schedule or call for custom class with your group. Come join us for an enjoyable fun filled Saturday afternoon at DeGrezia. Whether you’re learning to cook or learning to cook right, this 4-class series will give you all the confidence you need to really enjoy cooking. At his cooking school the Sanskrit Culinary Arts, Chef Khanna offers a variety of workshops and classes for those interested in culinary arts. Public Classes include Appetizers & Relishes, Healthy Indian Cooking, Vegetarian Delights, Ayurvedic Foods, Indo-Chinese, Indian Grill. Scrimshaw can bring all the flavor of our restaurant to you - whether its for a small dinner, a cocktail party, a dinner for a large group of friends, a business meeting, rehearsal dinner, wedding, or our unique cooking class evenings. Gather your friends for a "Girls Night Out" with a twist. Chef Vanda will come to your kitchen for an educational, interactive demonstration - how to prepare a Mexican Fiesta, Japanese Sushi, Low Carb, or Seafood Carnival. Learn the basics of Japanese home cooking, such as how to cook rice, making dashi and miso soup, about seasonings and handling of common Japanese food products. Learn how to cook with soy food products, or make your own sushi rolls. In our Floral Workshops, students will learn to hand sculpt Sugar Flowers, such as Calla Lilies, Tulips, Roses, Cherry Blossoms, Mimosas, and Foliage. You will also learn how to dust and wire your flowers into gorgeous sprays. Food enthusiasts can get a taste of the CIA educational experience during the college’s popular Boot Camp courses, Taste of CIA Cookbooks classes, Wine and Beverage Explorations, and other fun offerings. Call us at 1-800-888-7850 or visit our website for more information. Welcome to The Institute of Culinary Education (ICE) Recreational Division! Experience the nation's largest hands-on cooking, pastry, baking and wine education program with 1,700 classes offered seven days and nights a week. We come to your kitchen, put the knife in your hand, and show you how to cook, whether it's roasting a chicken or making pate a choux for cream puffs éclairs, you'll gain the cooking skills for a lifetime of kitchen bliss. Young Chefs® Academy offers classes that are organized by a monthly theme. These courses are designed to help young chefs explore cuisines while building upon basic skills. The largest craft beer and food event in New York State. This is beer made with pride by people who truly enjoy a quality, flavorful beer. Includes chili sampling, judging, cash prizes, amusements, and live entertainment. Peek around every corner and you'll discover magnificent gardens, musical gems, exciting exhibits and exhilarating special events. 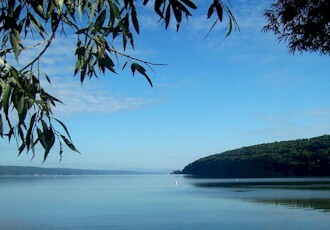 Enjoy samples of the finest Finger Lakes wine while walking historic Canandaigua! Local merchants display apparel, gifts, novelties, art, and food! Take in great eats, treasures in the market, artists and great local vendors while viewing the breathtaking Manhattan skyline. Every Sat & Sun. Fresh produce, cut flowers, candles, art, and crafts, as well as specialties from well-loved Elmira restaurants. An elegant evening of fine wines and foods. Fresh produce, cut flowers, candles, art, and crafts, as well as specialties from well-loved Elmira restaurants. Every Thursday. Enjoy great eats, treasures in the market, artists and great local vendors while viewing the breathtaking Manhattan skyline. Every Sat & Sun. Come & enjoy a full-course menu of Arabic food, live Arabic music, dance performances, gifts, and more! The largest showcase of New York State wines paired with regional artisans, music, culinary classes, and breweries all in one beautiful location. More than 150 culinary specialties are served by WNY's best restaurants in "taste size" portions. An exciting, fun-filled event on Syracuse's hopping summer festival scene, offering great music, entertainment, food, and drink! Sample all the cheeses of the Finger Lakes Cheese Trail in one place, as well as goat milking, live music, and cheese-making classes. Intimate dinners, huge rooftop parties, Sunday brunches, late-night parties, and panels, truly offering something for everyone.